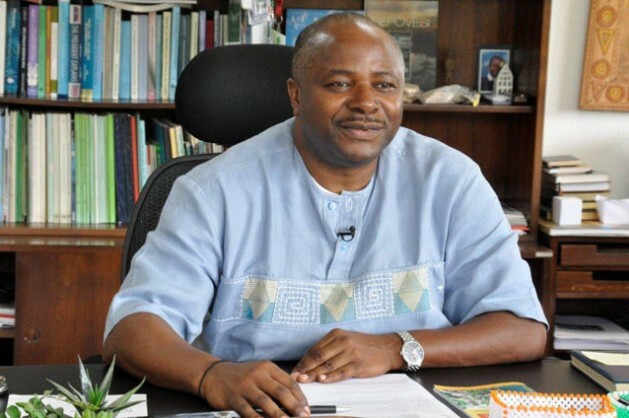 Nteranya Sanginga is the Director General of the International Institute of Tropical Agriculture. IBADAN, Nigeria, Nov 18 2016 (IPS) - Harvesting the benefits of core agricultural research, which often bears on improved crop varieties and plant diseases, increasingly depends on the social and economic conditions into which its seeds are sown. It is a sign of the times that Kanayo F. Nwanze, the president of the International Fund for Agricultural Development who started off as a cassava entomologist when ITTA posted him to Congo in the 1970s, was recently hailed for his efforts to create African billionaires. That happened when youth from the International Institute of Tropical Agriculture’s Agripreneur program gave Nwanze special lapel pins after his guest speech at our golden jubilee celebration kickoff. Our institute, IITA, has evolved with the times. I trained in microbial ecology, yet while agronomy research –remains very important, it is initiatives like our Youth Agripreneur program that underscore how we are paying more and more attention to the need to boost youth employment, especially in Africa. Creating decent employment opportunities, especially rural employment opportunities, is the critical challenge of our time in Africa. It is the lynchpin of any possible success in the noble goals of hunger and poverty eradication. The most obvious reason for that is demographic: Africa’s population is set to roughly double to 2.5 billion by 2050. Many of them, perhaps the majority, have not been born. Income opportunities and healthy affordable food will be in unprecedented demand. Today’s youth play a huge role in making that possible. While Africa’s cities are expected to grow, even that will depend on decent rural jobs being created. Agriculture is not only called upon to increase food output and productivity, but to create jobs and even bring in the best and brightest. The prospects are, in theory, quite good. The world is increasingly turning to sustainable agriculture, and research shows that diversified farming systems are more challenging – experientially, cognitively and intellectually – which both cushions the drudgery and spurs innovation to reduce it. Yet the challenge, as the population projections show, is formidable. Growing by around 300 million every decade means all sectors need a giant and focused developmental push. Perceiving agriculture as the rural sector from which one escapes will backfire. That’s one of the reasons why entomologist-turned research administrator Dr Nwanze talks about the need to foster opportunities for youth. The IITA Youth Agripreneur program has ambitious aims. It has expanded quickly around Nigeria and other African countries. At the same time, IITA is partnering with IFAD and the African Development Bank for the Empowering Novel Agribusiness-Led Employment for Youth in African Agriculture Program, dubbed ENABLE. The goal is to create 8 million agribusiness jobs within five years for youth. How can IITA’s research contribute? Take our project on Sustainable Weed Management Technologies for Cassava Systems in Nigeria. As its name suggests, this is very much geared to primary agricultural work. But it is not simply about having more cassava but about having enough extra cassava, and having it consistently, to support the use of this African staple food in flour. As such it fits into other IFAD projects aimed at boosting the cassava flour value chain in the region. Once the weeds have been sorted out, this initiative is designed to require large gains in food processing capacity. IITA researchers have managed to bake bread using 40 percent cassava in wheat flour, so the potential for this initiative is very large. Notice that it immediately suggests a role for bakers, confectionary products and others. That means more jobs. This relates back to Dr. Nwanze’s time as an IITA field researcher, as he was involved in a successful effort to combat and control the cassava mealy bug that saved the continent millions of dollars. One of the big challenges for scientists today is to make research contribute to growth. Breakthroughs often lead to solutions of food-system problems and thus relieve hunger and food and nutrition insecurity. IITA showed that by developing two new maize hybrids that deliver higher levels of vitamin A and improve child nutrition. But we can go further, steering these breakthroughs into veritable engines of growth. To be sure, this requires improvements on many fronts, such as better freight transportation networks. But such investments pay themselves off when they serve a common goal. Africa’s need and duty is to make sure that agriculture is ready to deliver the goods for such a take-off. All this by the way will not only boost Africa’s agricultural productivity, which is lagging, but will boost the productivity of research itself, leading to higher returns and, one hopes, attractive jobs with higher incomes and better facilities. That’s important for future microbial ecologists and cassava entomologists!